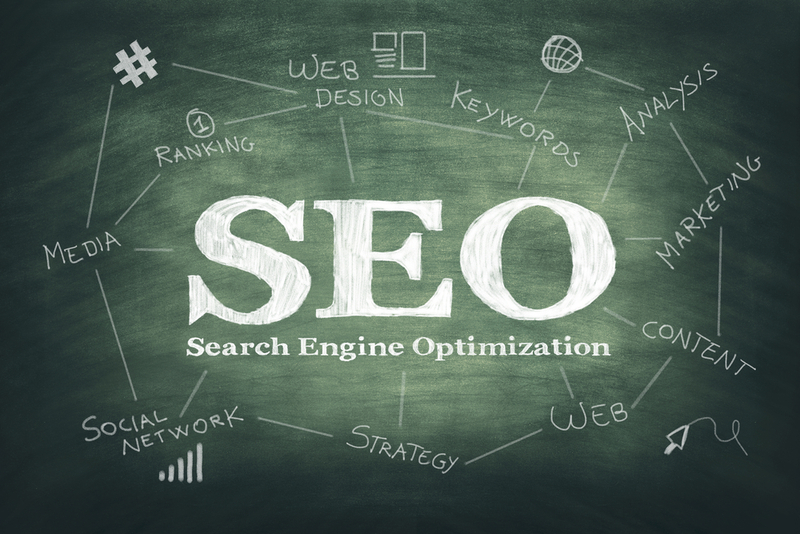 SEO seems to be one of those subjects that puts people’s backs up. Maybe it’s because of the jargon used by SEO practitioners, or maybe it’s the costs charged for an opaque set of procedures with only vague promises of a good ROI. Certainly, SEO professionals seem to be viewed with a similar level of suspicion to that previously reserved for freemasonry – with its disquieting rights and rituals. But there is another way to look at the subject of search engine optimisation which, at Blacksmith, we believe can be made simple and transparent. The power that propels web sites to the top of the organic Google rankings. To start with an analogy. When you buy a car, there is no expectation that the garage will provide free petrol or diesel fuel for the lifetime of the car. Search engine optimisation, usually shortened to SEO, is the power that propels web sites to the top of the organic Google rankings. Much like topping a car up with petrol, SEO is required to regularly refuel web sites. A car without petrol is still a car, it may even be a thing of beauty, but it is not going anywhere, and a simple check on the fuel gauge will tell you why. Although not exactly as simple to read, web sites come with their own SEO gauges. The difficulty is that whilst everyone understands that car’s need fuel, far too many clients are not clear about the necessity for SEO. Far too many web designers are happy to make otherwise good web sites live, with little or no attention paid to search engine optimisation. A web site without SEO in place, will be invisible, almost indefinitely. At Blacksmith, we think this is unreasonable and so putting the basics of SEO in place is always part of our quotation. To repeat, a web site without SEO in place, will be invisible, almost indefinitely. To understand SEO, it’s important to understand the fundamental proposition behind Google – namely its single-minded determination to match any given search term to the web site whose content appears to be the most likely to deliver the required information. Brilliant though Google is, it requires help to make that decision. For part of that process Google relies on the signals that web sites contain, about the content they have to offer – these signals are embedded in the web site by SEO practitioners, and if done properly, Google rewards the site by ranking it highly. SEO is divided into two basic categories, on page SEO and off page SEO. Most experts agree that on page SEO is the first priority, and for many sites meticulous on page SEO will deliver the required rankings. The aspects of on page SEO covered below are not exhaustive, but if a site fails these tests it will probably fail them all. On page SEO is the aspect of search engine optimisation that ensures that every signal that can be sent to Google about its content, is put in place, in the way that Google likes and understands. This includes using headings and relevant content to convince Google that any given page does indeed cover the topic that the page title claims. It includes using synonyms in the text and making the text read naturally. It involves writing meta descriptions that are the right length and contain a good summary of the page content. It requires naming pages (URLs) in a meaningful way and ABSOLUTELY NOT naming pages “about” or “services”. It also needs each page to comply with the minimum word count that Google recognises as a credible page (minimum 300 words). It involves ensuring that each page has its own unique page tag. Finally, it involves adding meaningful alt tags to every picture – not just a string of numbers. All this needs to be done for every page. The foundation of on page SEO best practice is key word research, carried out at the planning stage and used as one of the main pillars of the underlying site structure. This ensures that each page is designed to offer perfect content, matched for one search term or group of terms. The reality of on page SEO is that it is not technically demanding, rather it is time consuming and occasionally repetitive work. Perhaps that’s why so many sites squander this opportunity to gain a competitive advantage. At Blacksmith, experience has taught us that diligence in this area can have surprising results, even for competitive search terms!